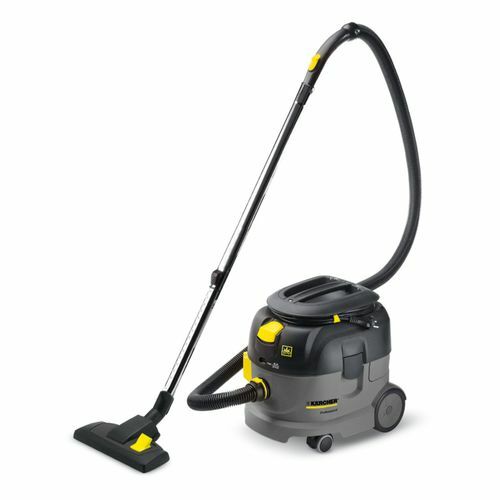 The T 9/1 Bp is a tough, functional & powerful l battery-operated dry vacuum cleaner – perfect for safe and quiet daytime cleaning. With excellent ergonomics and compact design, this vacuum cleaner has been developed for the specific needs of hotels, offices and retail outlets. The mahcine can be operated on mains power or battery power, with a battery run time of approximately 35 minutes. Only 58dB(A) sound level in battery mode.